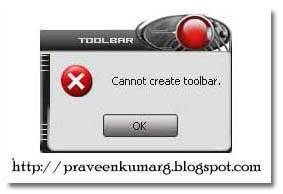 When you try to enable the Quick Launch or the Desktop bar, or try to create a new toolbar, you may get the error “Cannot create Toolbar”. Quick Launch folder is missing. Restart Windows.Your “Cannot Create Toolbar” problem will be fixed.